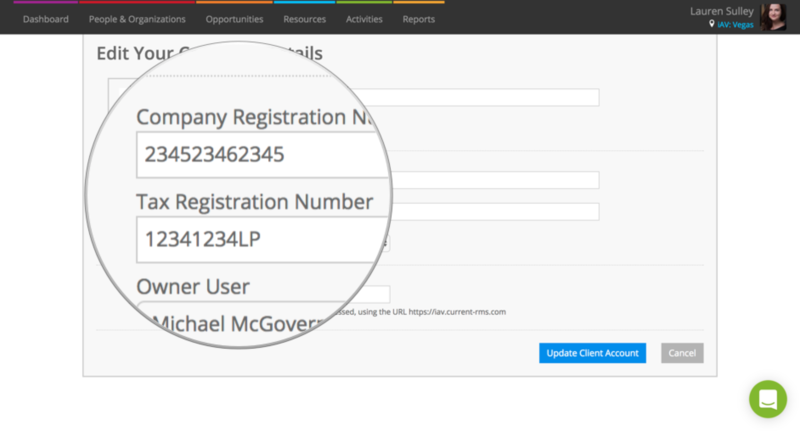 Go to Company Information, Users, and Stores in System Setup to add all of your company contact information. 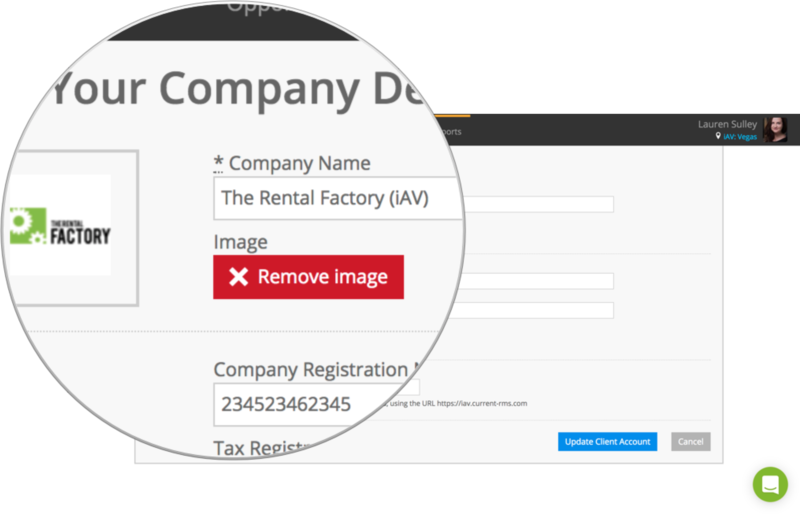 Personalize your Current RMS system by adding your company name, logo, store addresses, tax & company registration numbers, and your email addresses and telephone numbers. You enter your company name during the initial setup of Current RMS, but you can change it in System Setup > Company Information if you wish. Go to System Setup > Company Information to upload your company logo. The logo you choose here automatically pulls through to the document layouts generated by Current RMS. Head to System Setup > Company Information. Enter your company registration number and tax registration number here. You might call these “Australian Business Number” (ABN), “VAT number”, “GST number”, or something similar in your region. Your company’s main address is set in System Setup > Billing Information. This is used when processing payment for Current RMS. It’s not pulled through to any of your default document layouts, except for barcode layouts. Stores are the different locations where stock is held in Current RMS. Out of the box, you’ll have just one store set up called “Default”. 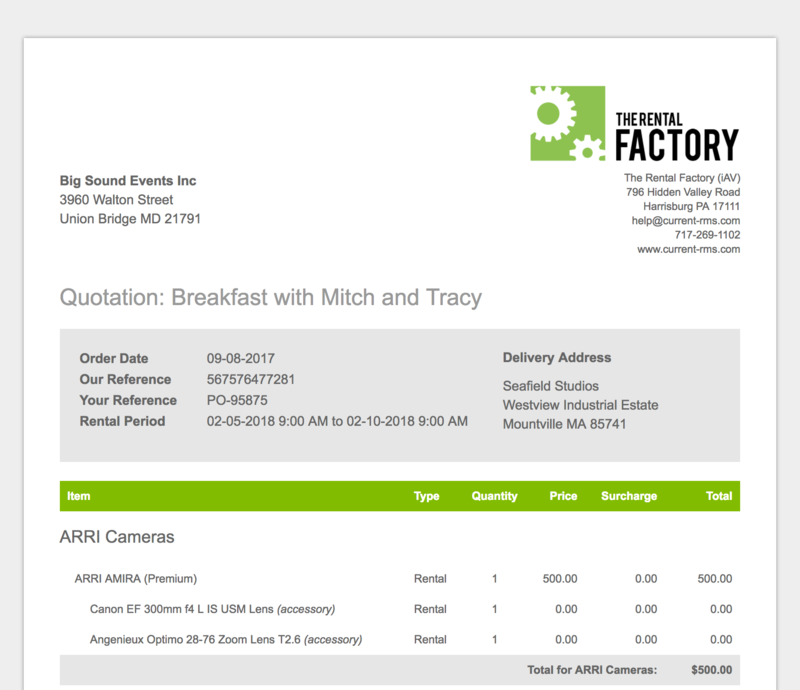 The contact information set up against your stores are pulled through to document layouts like quotations, invoices, and delivery notes. Go to System Setup > Stores and edit your store by clicking the blue arrow to the right and choosing Edit from the menu. Enter the store name, address, email address, website, and telephone number here. Once entered, you’ll see them on document layouts. If you have multiple Current RMS accounts on your system, personalize it by adding your own contact information, working hours, and other details.